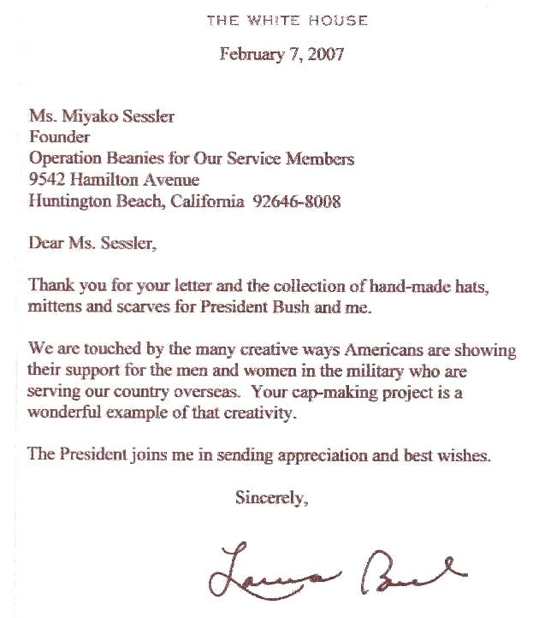 Over time we have received quite a few wonderful “Thank you” letters, emails, and acknowledgements here at the Operation Beanies for our Service Members headquarters. Since many of you are unable to come in person to read them we will publish some of these letters in our newsletters. 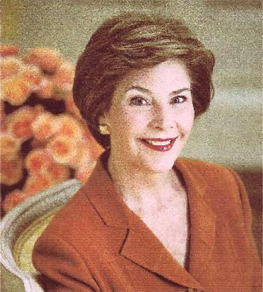 Following is a letter Miki would like to share with all of you – from our First Lady, Laura Bush.